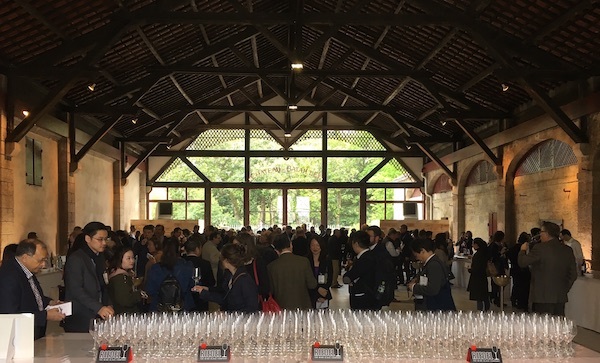 The Union des Grands Crus de Bordeaux recently passed through the US on their annual whirlwind tour, coinciding with the release of the ratings from all major players in the Bordeaux world. It's as close to unanimous as these things get: this is a vintage for the ages. You get the picture. If you haven't bought into it, now would be a pretty good time. Since all of the updated ratings have been released, we've seen an increase in demand, and have sold out of a few of the wines. We tried to reload on some of these wines, and guess what? The prices are higher. Currently, our 2016 Bordeaux pricing reflects our having purchased the wines upon release, and with their impending arrival throughout 2019, these prices will be the lowest that we can offer. If you want in, we would advise pulling the trigger sooner than later. 2016 is the first great homogenous vintage of the post-Robert Parker era. There are great wines at every price point - the First Growths are unbelievable, the Super Seconds are extraordinary, and even the petits chateaux made some outstanding wines. We have a few 2016 petit chateau wines in stock now, though I will focus on finding more when I'm in Bordeaux this coming March/April. We could go on and on, and quote every taster who has had the opportunity to comment, but Neal Martin hits the nail smack on the head when he says, "Let’s cut to the chase: 2016 is a fantastic, sublime and at times entrancing vintage. For once, the frothing hype that presaged en primeur was justified. The 2016 vintage already feels haloed. The promise that was so palpable in barrel remains, and many of these wines are destined to give immense pleasure, not only at the top of the hierarchy but on the lower rungs too – always the litmus test of a truly great growing season." ***PLEASE NOTE: Prices may change without notice. Prices can be confirmed either by placing an order online or by a member of our staff only. All wines expected to arrive by late fall 2019.